From collecting music mags as a teenager to studying magazine journalism as a postgraduate student at Cardiff University, magazines have been an ongoing obsession throughout my life. So discovering Magalleria – a shop in Bath that stocks over 1,000 high quality independent magazines – made me more than a little excited. 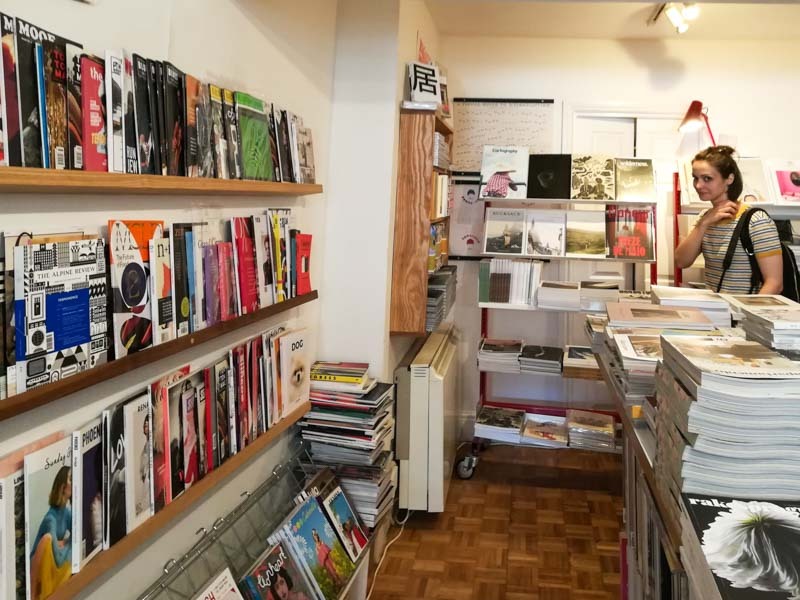 Since opening in 2015, owners Daniel McCabe and Susan Greenwood have populated their shop with an impressive array of titles, each offering something slightly different. Forget any preconceptions of unsightly, crowded newsagent shelves: Magalleria’s thoughtful layout makes it effortless to find a publication you’ll enjoy flicking through. Independently published mags aren’t as easy to categorise as the mass-produced kind, so Daniel and Susan have chosen to group their magazines in thematic groups. The shop is curated like a gallery, with each shelf featuring an exhibition of intriguing and attention-worthy printed content. Despite frequent claims that ‘print is dead’, a visit to Magalleria suggests otherwise: independent print publishers are thriving. 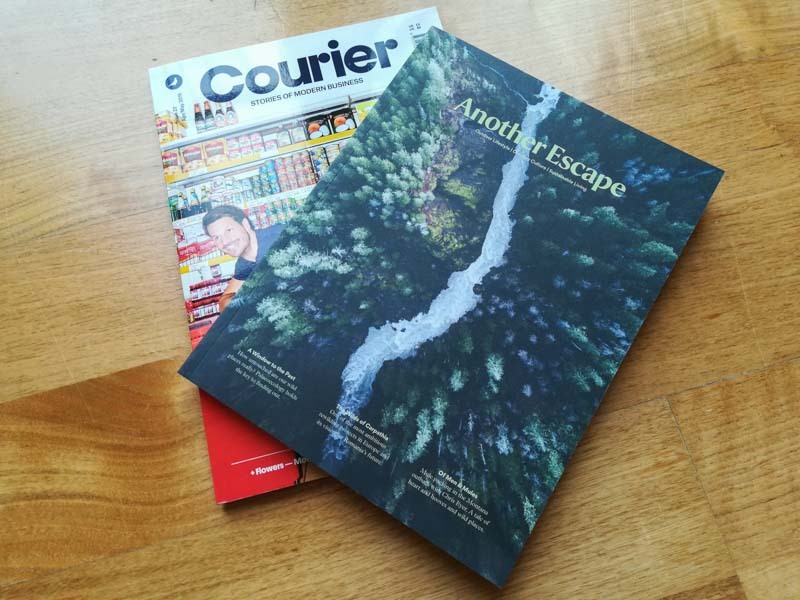 True, online outlets have replaced traditional papers as our first port of call for breaking news stories, but print provides a pleasingly analogue antidote to the rise of digital content. Escaping the addictive glow of your smartphone is as simple as turning the satisfyingly weighty front page of a luxury magazine. 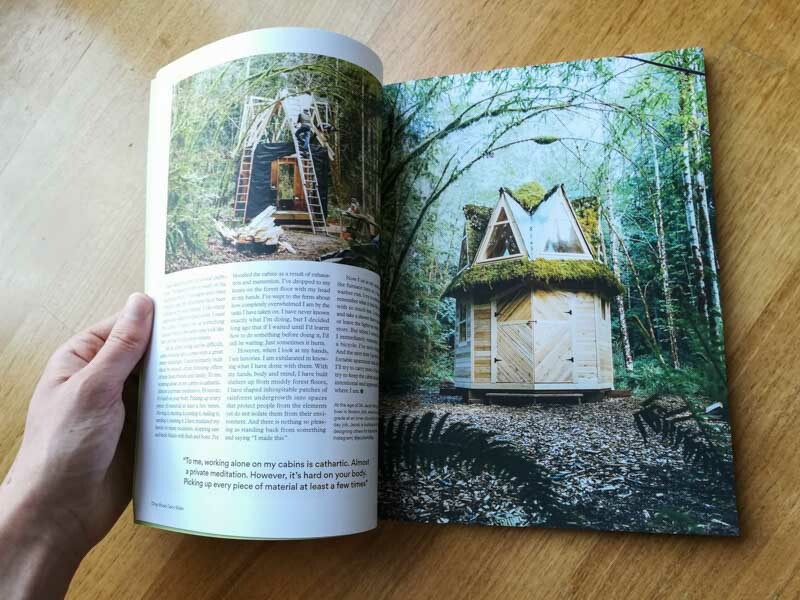 This countermovement has led to a rise in the number of successful niche magazines – titles that have found small but dedicated readerships, and whose enthusiasm for print sustains the continued existence of many publications. The Rolling Home – An imaginative exploration of travel, nomadic life and the idea of ‘home’. She Shreds – A magazine celebrating the community and collective power of female guitarists. Rucksack – A jaw-dropping winter-themed tour of cold places and mountainous life. Like The Wind – A collection of motivational stories written for runners, by runners. DOG – A soft-hearted portrayal of canine culture, highlighting one breed per issue. I could easily have spent all day nose-deep in the ink-scented pages of Magalleria’s stock, but as the shop’s opening hours drew to a close, I settled for bringing a couple of magazine-shaped souvenirs home with me. But not before a cheeky ruffle of shop dog Enzo – Magalleria’s resident whippet, who spends his days sat beneath counter receiving affection from customers. If you’re looking for non-touristy things to do in Bath during your next visit, I highly recommend stopping by this Aladdin’s cave of excellent magazines and picking up some reading material for the train home. Say hi to Enzo for me! Magalleria is located at at 22A Broad Street, Bath BA1 5LN. You can also purchase magazines from their website: magalleria.co.uk. Sole trader or limited company: which is better for your small business marketing strategy?